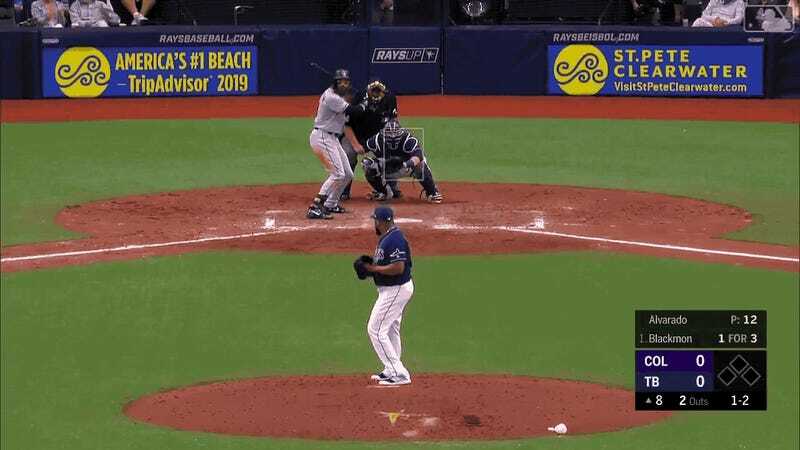 Jose Alvarado is just beginning his third year pitching out of the Rays’ bullpen, and all you really need to know about him is that his fastball is absolutely obscene. Here’s a 99 mph pitch from his appearance today against the Rockies—a pitch that let him finish striking out the side—which somehow features wiffle ball movement. 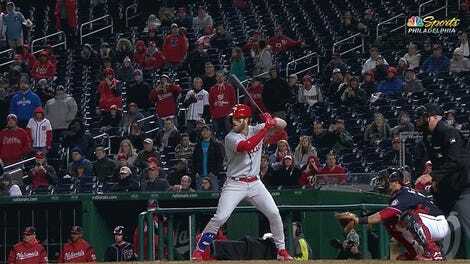 If you don’t believe your eyes, at least believe Statcast, which marks the pitch at 99.4 mph with 14.1 inches of horizontal break. This is no once-in-a-lifetime toss, either. Here’s another 99 mph pitch from today that genuinely startled Mark Reynolds. Alvarado immediately followed that up with a sadistic curve that sported a mile-long break. And from a few days ago, here’s an A-minus version of the same pitch that turned your mind into goo at the top of this post. Thank goodness for the Rockies that they are done seeing him for the rest of the year.